You can find great street food all over the world, of course, but I think Thai street food is hard to beat. 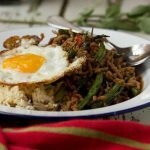 Unfortunately though we can’t all pop over to the streets of Bangkok whenever we get a craving – so I thought I’d try and make this delicious Thai basil pork stir-fry for myself. 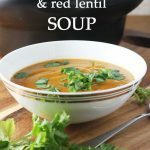 Absolutely delicious, and ready in just 15 minutes! I came across something very similar to this dish a few weeks ago in a new Thai street food restaurant called Zaap that’s recently opened in my town. Not to be a Debbie Downer or anything, but I usually brace myself for disappointment at these kinds of places. But wow – I loved this restaurant! The dishes were simple, the portions were generous and the prices surprisingly reasonable. And as the entire restaurant is set out like a real Thai street, and not really in a gimmicky way, you truly do get the bona fide Thai street food experience. Any normal person would simply pop back to the restaurant for another plate of this delicious Pad Ga Prao, of course. Well, actually, I will. But first I wanted to figure out how to make my own version so that I could share it with you good people! 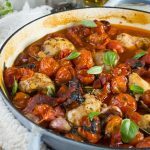 As usual, what I love so much about this dish is the amount of intense flavour for the length of time it takes to make – barely 15 minutes once you’ve fished the various sauces out of your cupboard (but I’m sure your food cupboard is better organised than mine!). The main flavour in it comes from the mixture of soy sauces, fish sauce and oyster sauce, the Thai basil, and the chilies, of course. If we were being totally authentic here (which we’re not), we’d be using something called ‘Holy basil’, but as this is difficult to find over here, I decided to use simple Thai basil from an Asian supermarket. If you can’t find either of these types of basil, just use any basil. The finished dish won’t taste entirely the same, but it will taste just as wonderful. The version of this that I first tried in the restaurant was made with chicken, so if you like you can make it with chicken mince instead of pork. Or even beef. 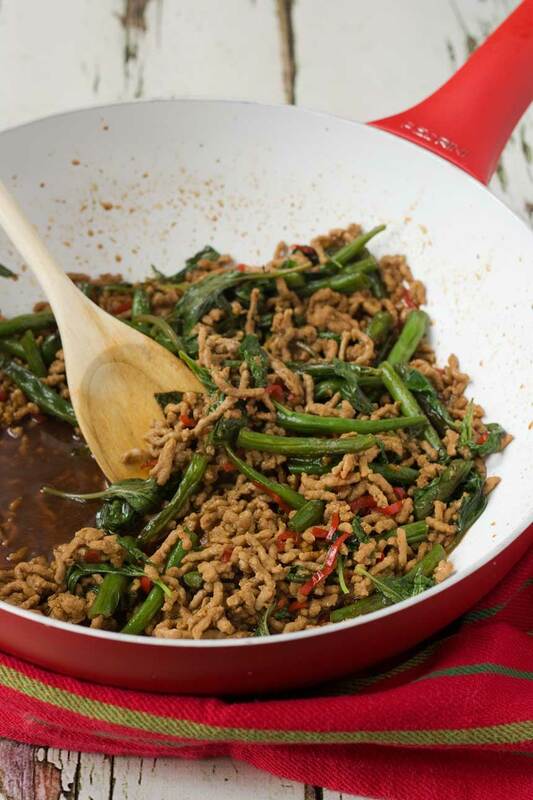 This is a classic Thai street food recipe made with minced meat, basil and chili. 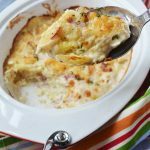 So simple and delicious, especially with an egg on top - and it can be ready and on the table in only 15 minutes! 7 ounces minced pork or chicken, turkey, beef! Mix together the fish sauce, soy sauce, kecap manis, oyster sauce and water in a bowl or jug and set aside. Heat up a large drizzle of oil in a wok or stir-fry pan, then stir-fry the green beans for a few minutes. Add the chopped chillis and garlic and stir-fry for a couple more minutes. Add the pork and stir-fry until cooked (an additional few minutes). Pour in the sauce, stir well, then let bubble for a minute or two more. Stir in the basil until wilted, then serve with the rice (and a fried egg, if desired). **4 chilis is about right for me (medium spicy). I found 6 was a bit much, but it would be perfect if you like your food to have a kick! ‘Holy basil’ is what you should ideally use for this recipe, but you may not be able to find it in the west. If not, use Thai basil instead, or even ordinary basil at a push. I use Thai basil, which I get from my local Asian supermarket. I have such happy memories of eating this from a street food stall in Bangkok. One of the best meals I have ever had. I am going to have to try making it myself. Sounds good and I will be making it soon. Damn the inconvenience of having to go out my back door and pick some Holy Basil. If you were a wee bit closer we could share. 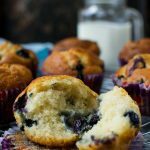 Thanks again for a yum recipe. 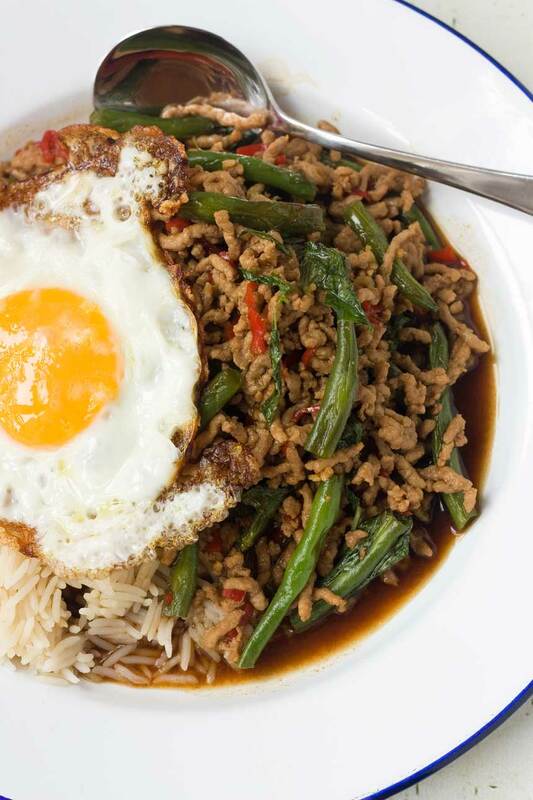 Helen, I am so glad you decided to figure out how to make that delicious Pad Ga Prao you had and share that recipe with us. 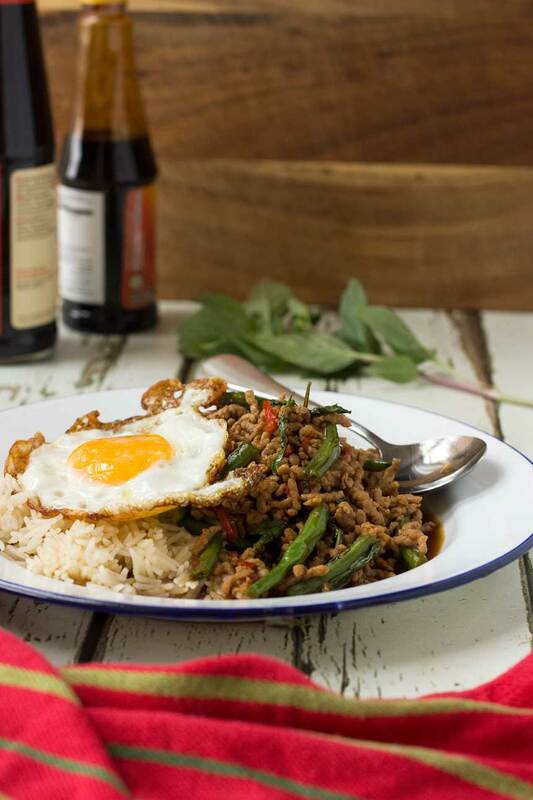 This mince sounds so delicious -especially with the fried egg on top! I guess Mr. Scrummy not wanting one on his means you get two on yours? YUM!!! In Sri Lanka and India there’s this dish called “keema” that is a very similar dish to this – only instead of all the saues, spices like coriander, cumin, etc are used. 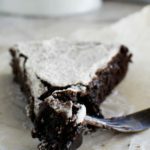 C’est le type de recette que j’adore ! Je pourrais dévorer ce plat même pour un brunch! La sauce des huitres je ne jamais vu, c’est difficile à trouver? Thai is one of my favorite cuisines, but I’ve never tried street food. I think this needs to be my first recipe, I’m loving all the flavors. 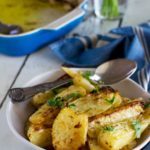 Do give it a go, Janette – I love it! Intense flavor in 15 minutes?! Sold! 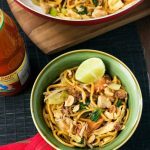 Thai flavors are some of my very favorite and I think fish sauce is truly a magical ingredient! And regardless of the cuisine, I think street food is the best food! The fact that it’s Thai street food, just makes it all the better! 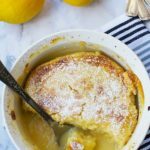 Thank you for this fabulous recipe, Helen! So glad to hear you approve of the new Thai restaurant Helen!!! This is one of my faves, made with mince or with chicken pieces – or pork or piece pieces too 🙂 YUM YUM!!! Sharing!! PS 14 months??!!! OMG, that is INSANE!!! 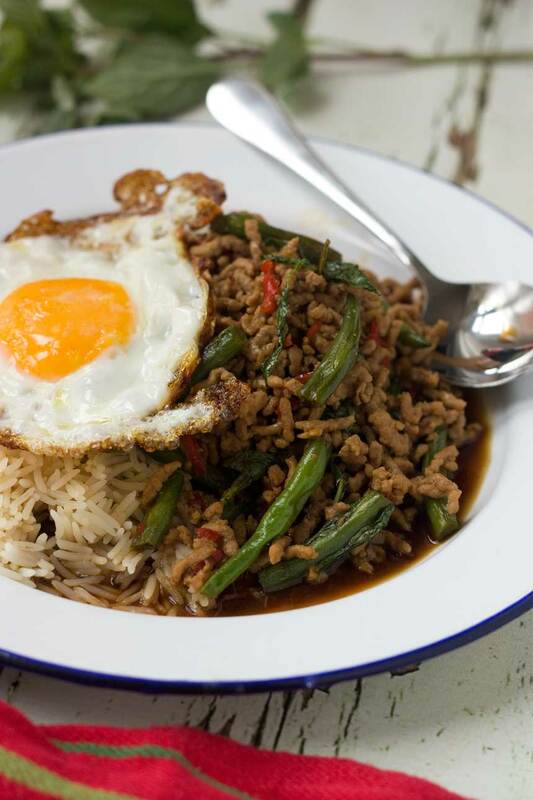 Thai street food is the best and I’m so glad you decided to recreate and share this dish Helen! Looks delicious! Love the fried egg on top! Sharing! What!? Mr. Scrummy doesn’t like an egg on top? I like eggs on top of almost everything! 😉 Thanks for coming up a homemade version of this restaurant recipe – definitely a MUST TRY! Hi Kristy. Thank you so much! Thank you so much for this info, Alvin! I think this is the first time I’ve had a message from someone who knows the Thai language. I love Thailand! Hi Steve. Believe it or not, you don’t really taste the ‘fish’ in the fish sauce. It’s more salty than anything. hehe, ok, but my girlfriend once told me the reason I don’t like fish is the people cooking it were cooking it wrong, and she bet she could get me to like fish. she then proceed to cook a dish with fish(without my knowledge) then asked me how the dish was. I said fine except for the fish taste hehe. I’m not sure you can get someone who doesn’t like fish to not taste the fish . I guess I’ll experiment with this dish to find other sauces that might work well, cause the dish looks great . Good point Steve! But I still challenge you to add the fish sauce all the same. I promise you it doesn’t taste fishy!!! LOL! I’ve made this one multiple times now, and it just keeps getting better! Last time I added half a shredded cabbage as well, and even grated a carrot (I was feeling like a super serve of veggies that night!). It was delicious. I love how you can add or substitute things so easily, it’s delicious! Hi Helen, I think this would be my next breakfast recipe. I don’t have too much time for cooking breakfast. But I still want to try different kinds of recipes. I would come back if I have any question. Thanks. Hi Tiana. Wow, I bet this would be fabulous for breakfast. I really hope you enjoy it! Thank you so much for popping by and please do ask anything at all.